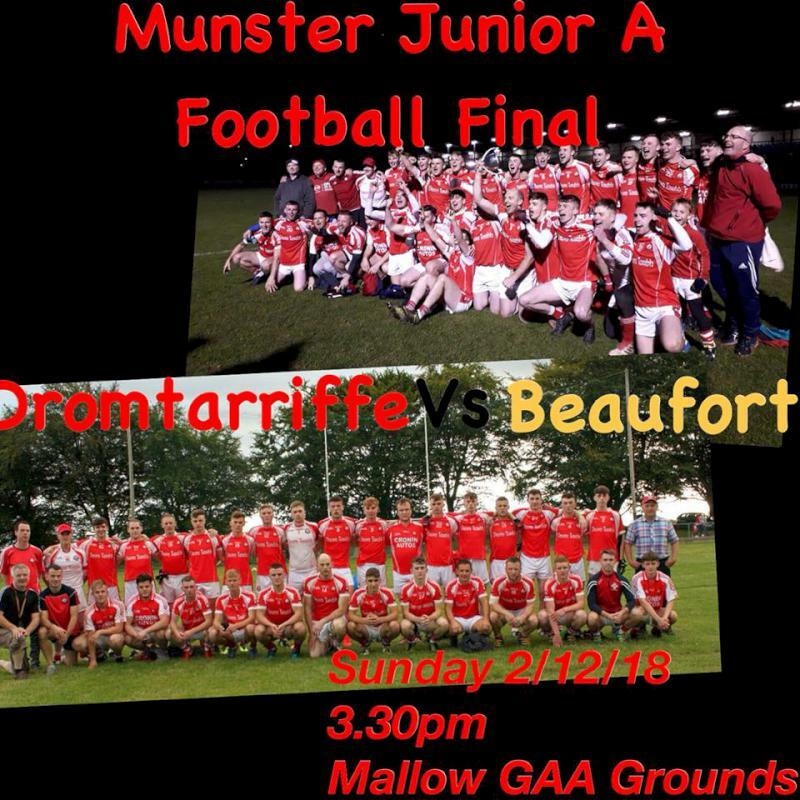 The very best of luck to Dromtarriffe today as they aim for one of the highest achievements in the clubs history by representing Cork and Duhallow in the Munster Junior Football Final against Beaufort of Kerry. We wish @LiosAPhuca every success in the All Ireland series and hope your toughest match will have been against us yesterday . Outstanding game this evening in @carrigoon – top marks for organisation – between Beaufort GAA and @DromtarriffeGAA See @ExaminerSport for report, reaction and analysis.